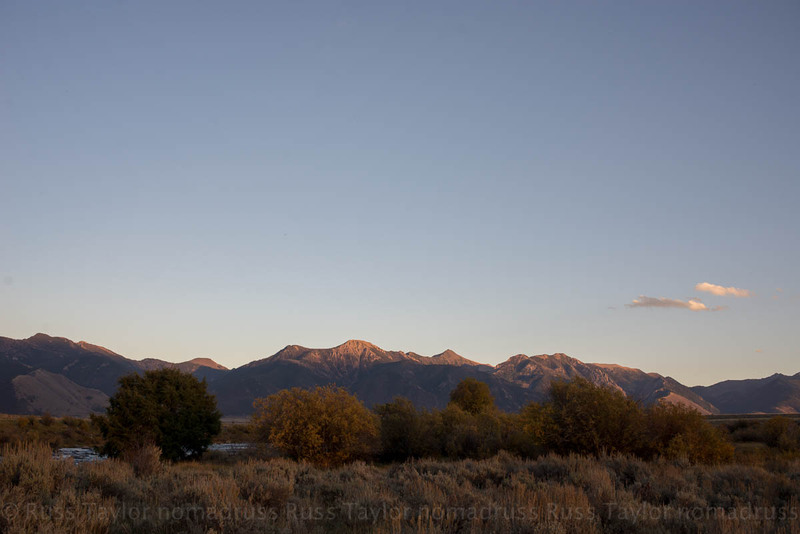 “Let’s shoot the moon in the Tetons,” I said. I’d become quite obsessed with photographing in the park adjacent to mine. As soon my duties were ended I cranked over the old red truck and me and my friend hit the road. 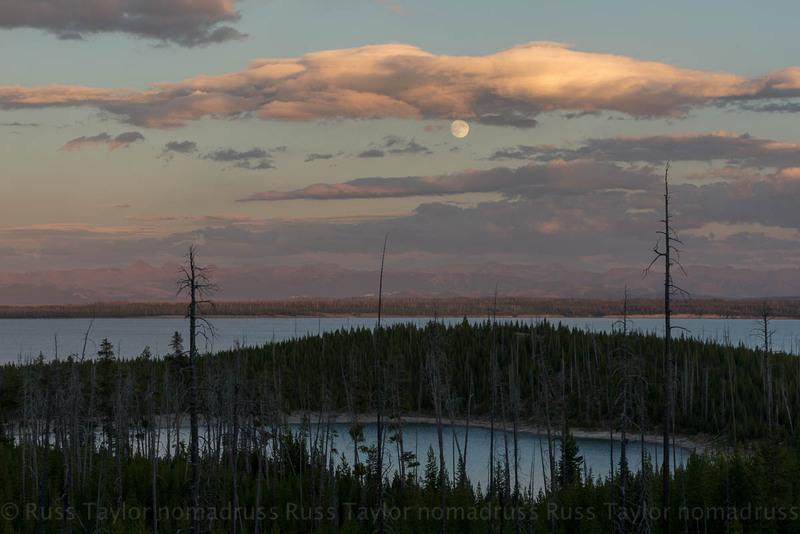 Just after crossing the continental divide we began to descend towards Yellowstone Lake and the moon, already basically full, was rising. The evening brought many colors to the western skies, from peach to auburn. We drove along the Lewis River in both bliss and anticipation of things to come. We turned onto the road where we’d planned to camp but were met with a wildfire close enough to the road that we thought it might be difficult to come back out of the valley in the morning, so we made the only rational choice possible, head deeper into the Tetons. I shot that night by the light of the harvest moon and we bivvied nearby. We awoke to a morning with cloud cover both east and west. Taking the Moose-Wilson road towards Teton Village we reveled in both the fall colors and seeing a moose. Moose are becoming a common sight to me now and I’m a better man for it. Without dramatic light we decided to take breakfast in a local diner, something I used to do often before it became too difficult to sit inside while watching the light dance through the aspens. Seeing as I had better internet service when living in the remote Himalaya then I do in Yellowstone I begged some more coffee shop time from my friend and we headed over to Cowboy Coffee in Jackson. 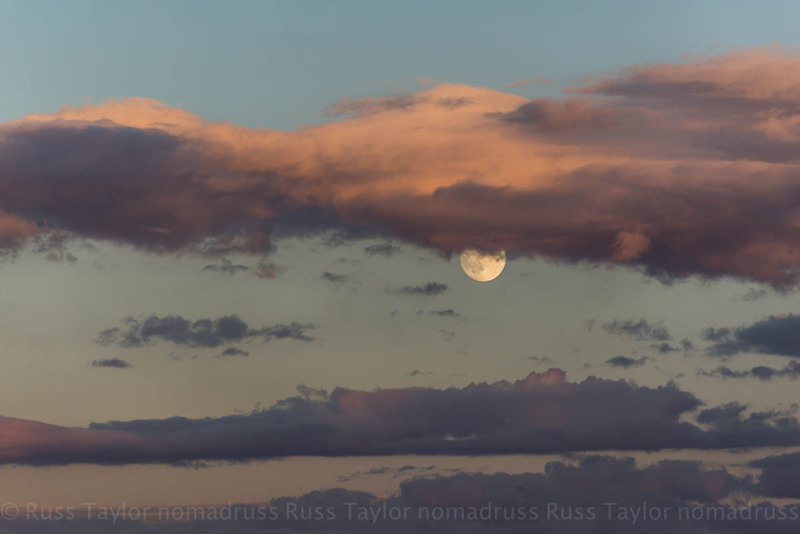 We began to check on the weather and the forecast didn’t look too promising in the Tetons to witness luna that evening. My friend, being a helicopter pilot and mechanic, had access to some aviation forecasts, looked at the speed of the winds and figured the skies would be the clearest looking east from the region around Big Sky. I figured the Hebgen Lake area would do the trick so we fired up little red again and headed north. We checked the moon app, noticed that it should be rising from 274 degrees and adjusted the compass until I had a pretty darn good idea of where the moon should be rising on the horizon. Looking east the skies were clear. “Well done,” I told my friend. 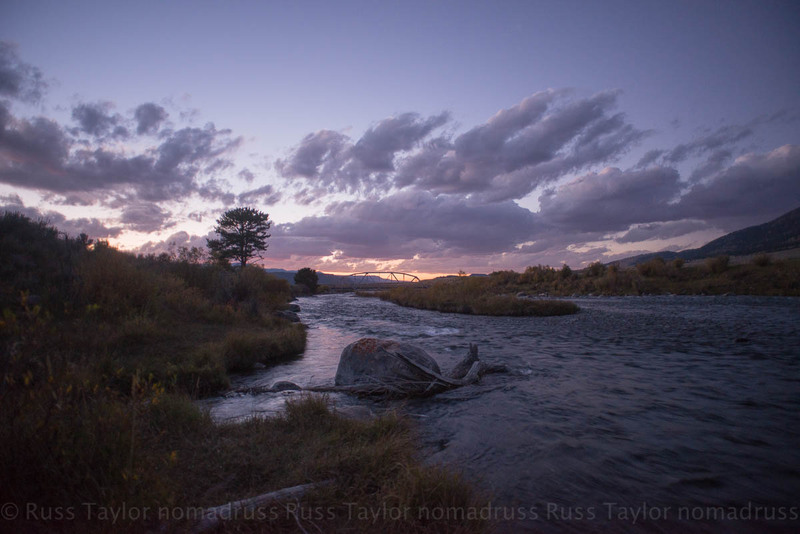 The skies were beautiful in the west as well; purple light fell over the Madison River. It was with great anticipation that we watched for the moon. It rose on the very crest of the ridge we’d counted on. The eclipse was well underway when it appeared on the horizon. As it rose it turned crimson. There are moments that we photograph only with our mind and it causes them to somehow be etched ever more deeply into our being. 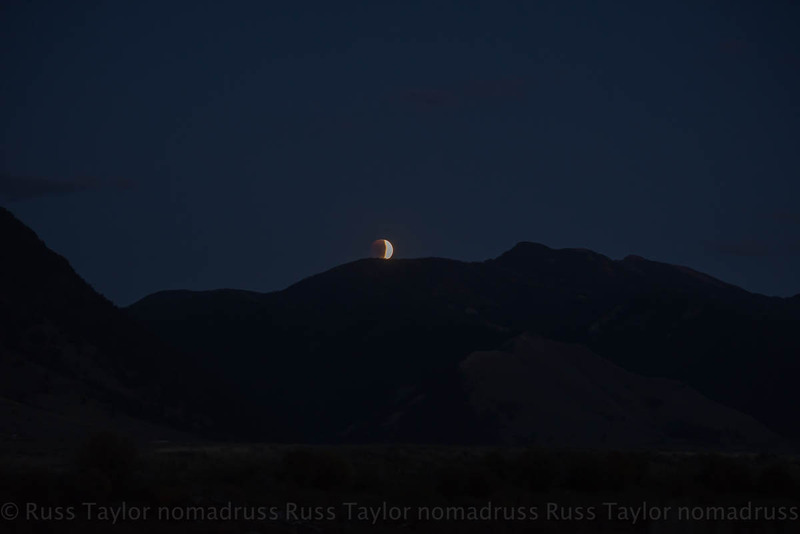 Driving into the night along a forest service road lined with tall pines, the completely darkened moon stood at the end of a long, straight stretch of dirt road. It somehow conjured up a primal feel, as if though a similar scene had been witnessed centuries before by our ancestors. Perhaps they too wondered if this blood moon signified an ending, or a new beginning. Thanks Joseph, appreciate your dropping in! Fabulous set! 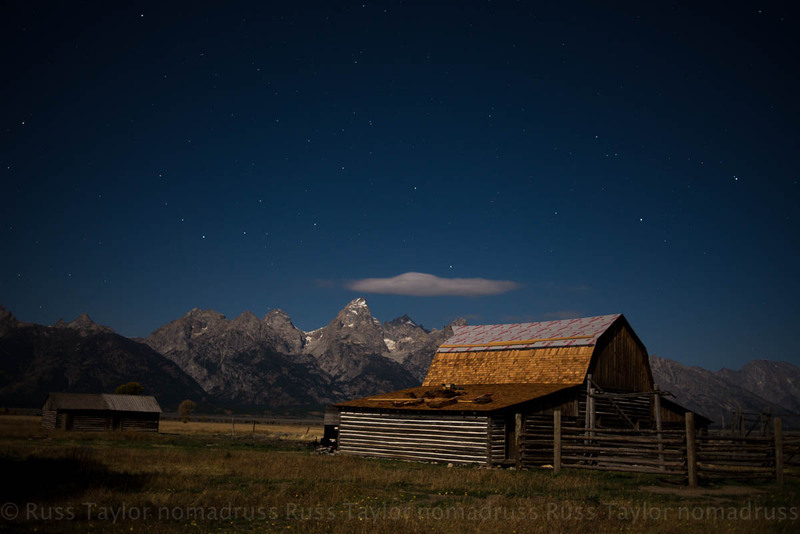 Love the moon, the famous barn….all wonderful. Love this place. 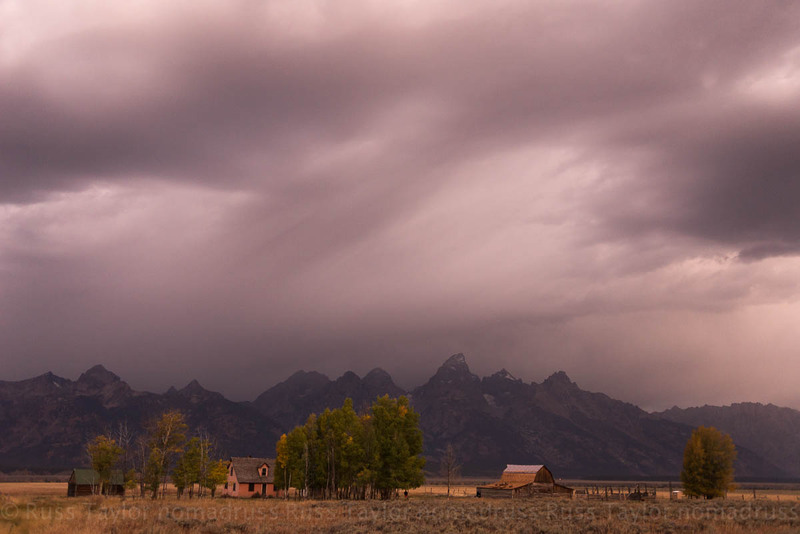 Thanks Jane, it’s so fun getting to shoot around the Tetons! Nice trip beautifully photographed. Lovely to see your photos of the blood moon. I just love the colour over the landscapes. I did too Vicki, there was an entire palette of colours that evening…. Yes, yes, Lynne, to all of the above. Thanks Steve-Anna, appreciate the kind words. It truly was a breathtaking experience this past weekend! One can almost feel the tranquillity out there! 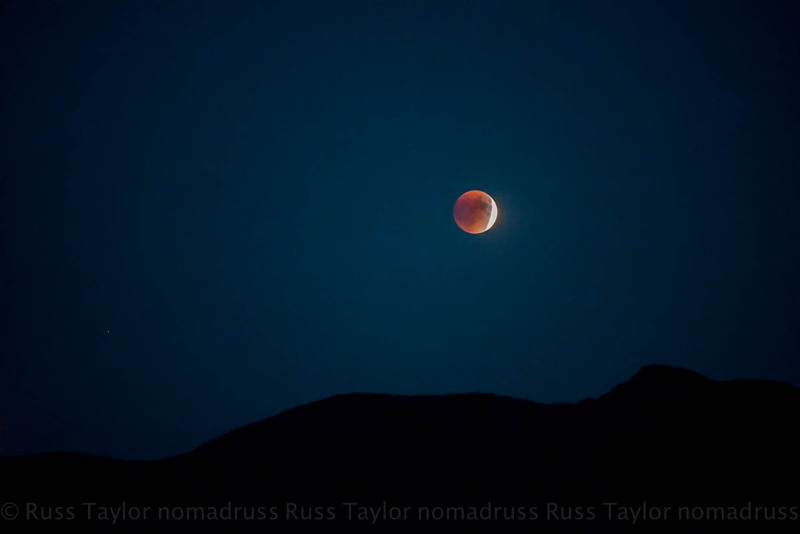 Great captures Russ! amazing journey! really captured the moments. Thanks a lot it was a really great journey!